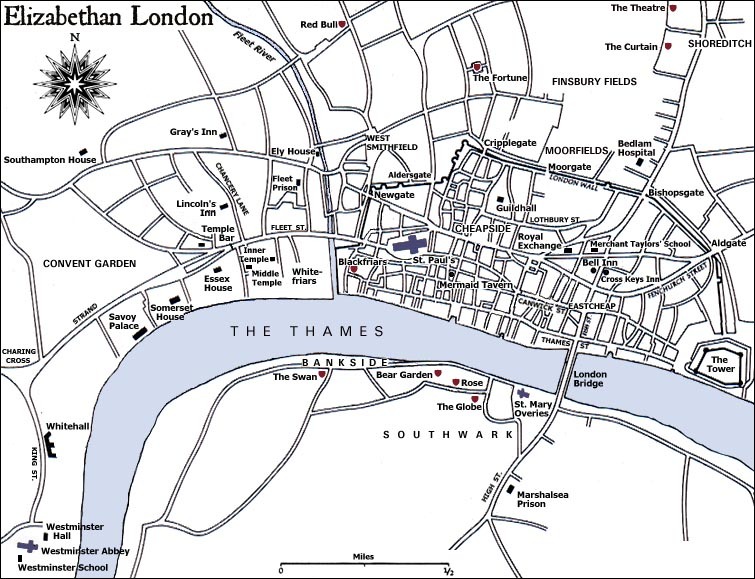 Mermaid Tavern was located in Cheapside, to the east of St. Paul's Cathedral. It had entrances from both Friday Street and Bread Street. The tavern's sign, not surprisingly, bore a mermaid. Mermaid Tavern was the meeting place of the Friday Street Club, also known as the Mermaid Club, a literary club first begun in 1603 by Sir Walter Ralegh. Mermaid Tavern was a favorite haunt of Ben Jonson, Beaumont and Fletcher, John Donne, Robert Herrick, John Selden, and last, but not least, William Shakespeare. Berry, George. Taverns and tokens of Pepys' London. Hopkins, R. Thurston. This London: Its Taverns, Haunts and Memories. Maskell, Henry Parr. The Taverns of Old England. Illustrated by Alan Gill. London : P. Allan & Co., Ltd., . Rogers, Kenneth. The Mermaid and Mitre Taverns in Old London. Notable Coffee-Houses, Clubs, and Pleasure Gardens of the British Metropolis. Boston: L.C.Page & Co., 1909, 1928.
and taverns of the metropolis during the 17th,18th,and 19th centuries. Jokinen, Anniina. Mermaid Tavern. Luminarium. 26 Oct. 2001. [Date when you accessed the page]. Created by Anniina Jokinen on October 26, 2001. Last updated June 18, 2006.